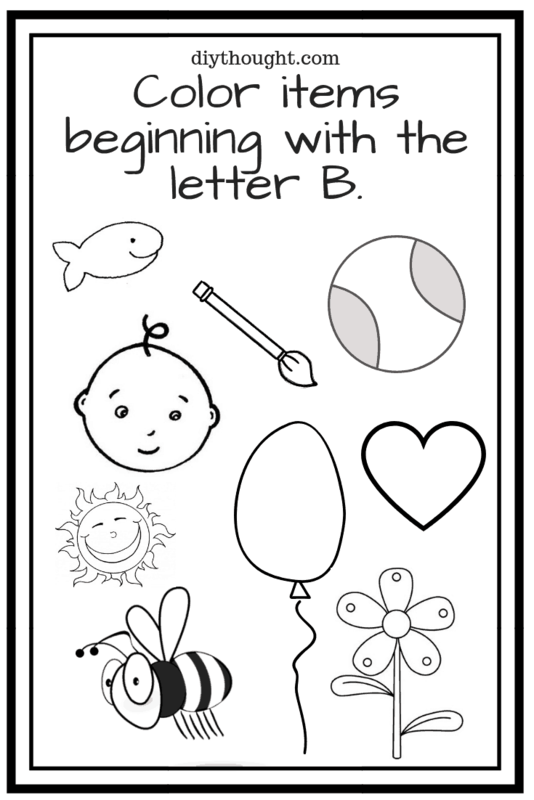 Today we have 5 letter B preschool printables to help children learn about the letter B. 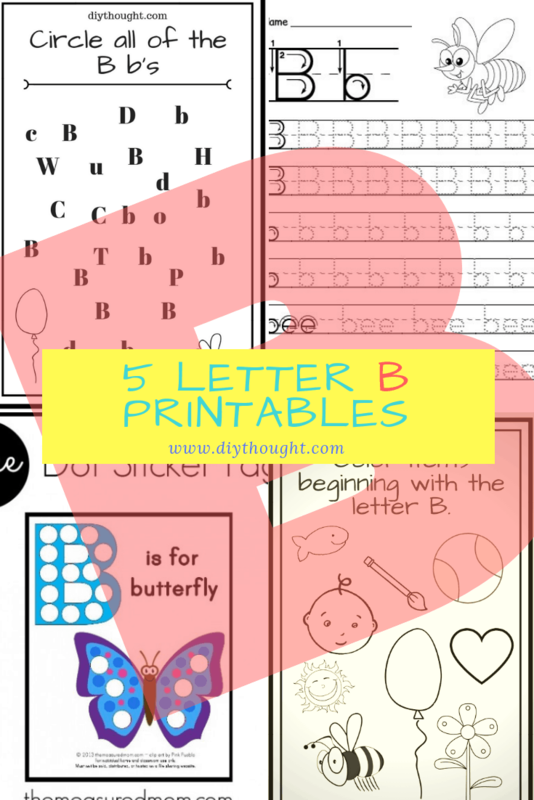 These printables are great for preschools through to older school-aged children who are learning to recognize and write the letter B. 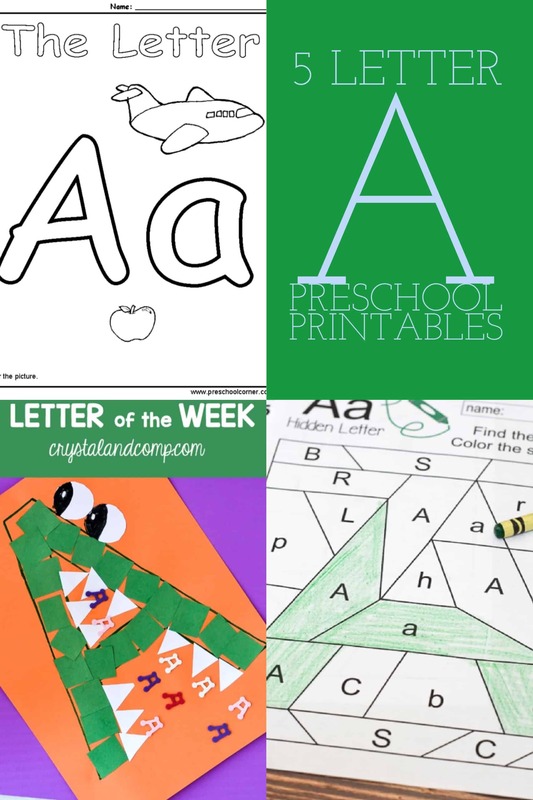 Learning letters can be fun with the help from awesome printables like these! A fun printable for kids of all ages. 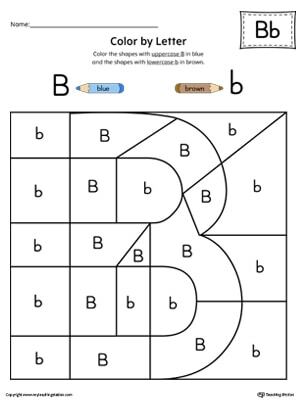 Get kids to color all of the items starting with the letter B. Color items beginning with the letter B printable. 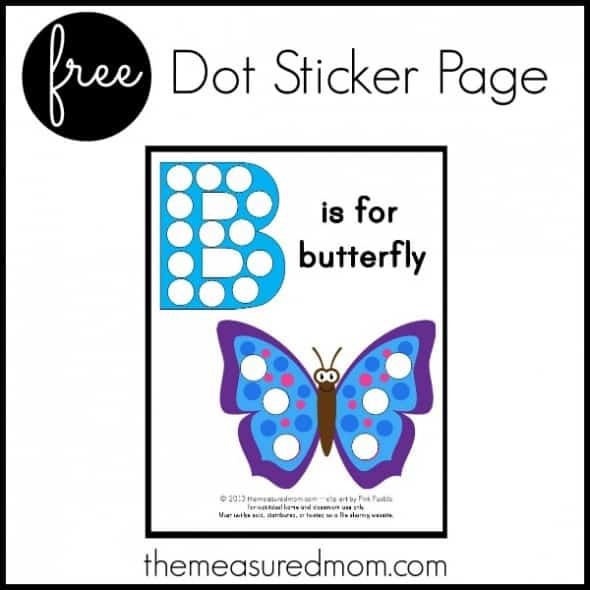 This dot sticker page printable is great for younger children and those that love stickers. The printable can be found over at The Measured Mom. Also detailed is how she teaches letters as well as other great letter resources. It is hard to beat a traditional letter tracing sheet. 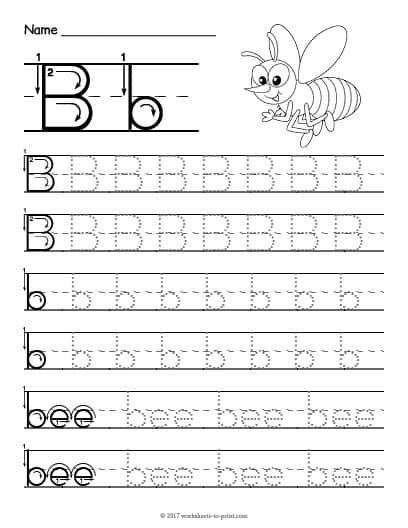 This tracing sheet even includes the word bee to extend the learning further. Click here to get the free printable. Spot the B b’s. This printable is great for practicing letter recognition. 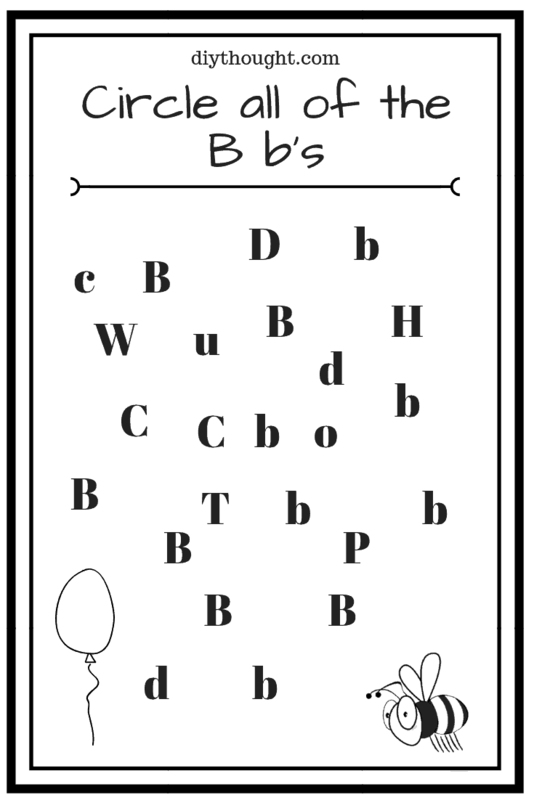 The letter b is a tricky one to learn as it is easily confused with the letter d. Circle the B b’s printable. 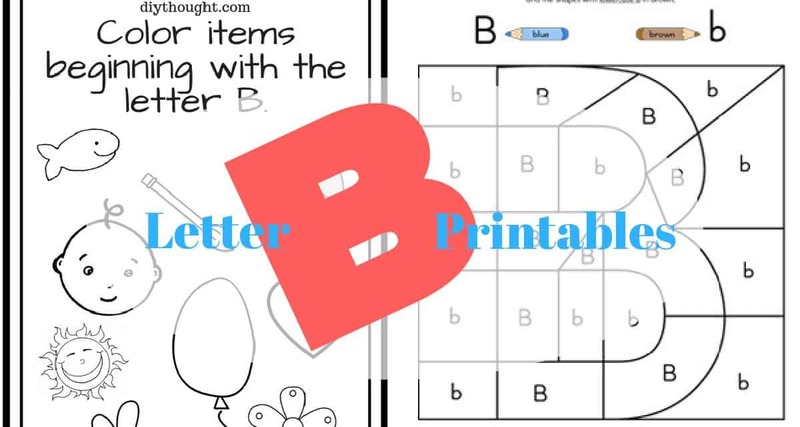 The Letter B Color-by-Letter Worksheet will help your child identify the uppercase letter B by coloring in all of the B letters. Teaching Station has a range of other great letter resources.